I'm sure I'm not the only one who goes a bit overboard on shopping for the holidays. I like to treat other people a lot, but I'm often a bit naughty and pick some things up for myself, too. 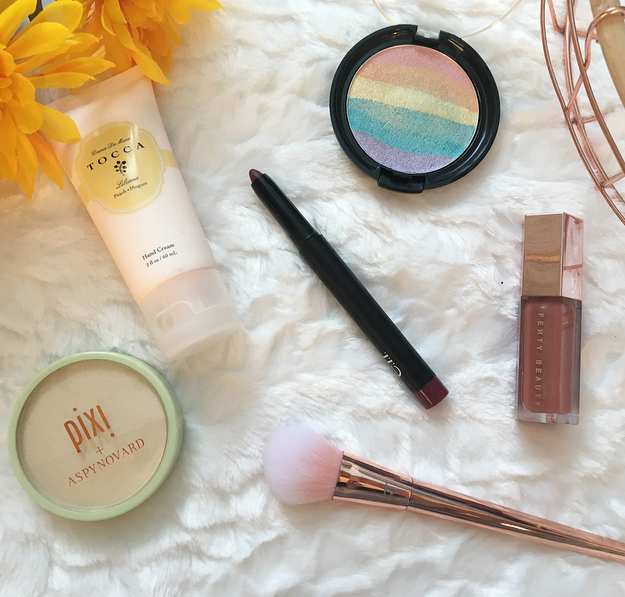 I ended up getting a few drugstore items that I've been wanting to try for a while whilst I was Christmas shopping. This year my family did Christmas a little bit differently. We each had a few gifts under the tree, but a few days later my mom took my sister and I on a shopping trip so we could stock up on things she knew we would like. On that trip we went to Sephora and Ulta, so I also picked up some makeup there! Prepare for the most random haul I've ever done. My sample of this product ran out a few months ago, and I've really been missing it whenever I try to do a wing. 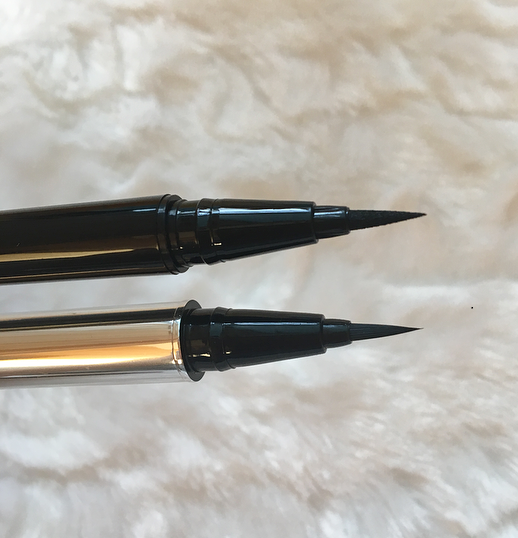 The felt tip is very fine and it's super black and pigmented. It was one of the only products I was actually planning to pick up on the shopping trip. Once I spotted the Fenty stand as Sephora there was no turning back. I knew I wanted to get something. I tested out the highlighters, didn't really find one that suited my skin tone, tested out the lipsticks, didn't find one that I thought I would wear a lot, and settled with the Gloss Bomb. It always looked really coral-toned in reviews that I had seen of it, but it's more neutral than I expected so it does suit me and I think it would suit most people, which was the goal! It also smells really good, but for some reason I can't think of the fruit that it reminds me of. Let me know if you've tried it and can tell! 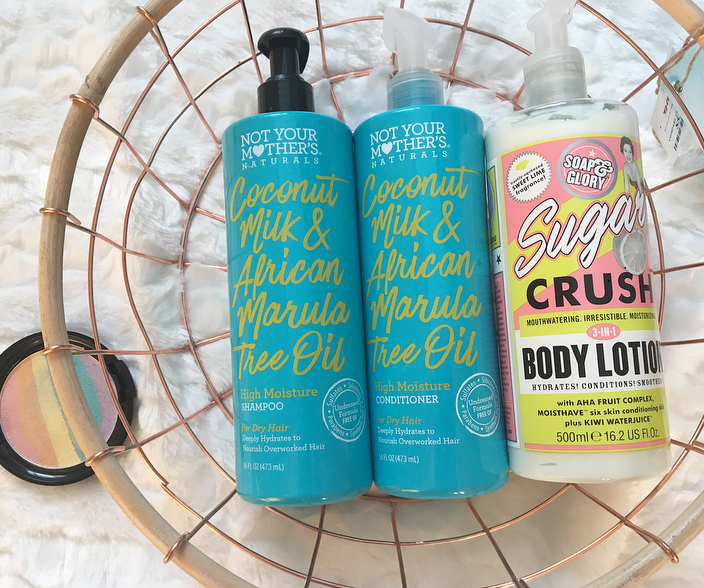 I'm still looking for my new holy grail shampoo and conditioner so I decided to pick up these new ones from Not Your Mother's. I used to stick mostly to high end hair products, but I'm getting more and more into drugstore ones. These bottles are massive and will hopefully last me longer than the past few shampoo and conditioners that I have tried! I have raved about the Sugar Crush body scrub many times on my blog, so I decided that I wanted to extend the lemon-lime amazingness with this body lotion. The scent isn't quite as strong as the scrub, but it's still mouthwatering. No. 7 is a brand that I want to try more from, and I've heard good things about this foundation from many influencers that I trust, so I found my shade and picked it up. Tocca is my favorite high-end perfume brand and I found some of their lotions at TJ Maxx! Liliana is one of my favorite Tocca perfumes, so I'm happy to have it in a lotion form as well, and Cleopatra smells much better as a lotion than as a perfume in my opinion. I've always been curious about these so I got them when they were on sale at TJ Maxx. Tea Rose is a gorgeous cool-toned pink and Wine is more of a berry shade. I was hoping it would be a dark red, but berry is pretty too! I haven't been to Rite Aid for years, but I went there with my sister recently and their beauty department is amazing! They carry a lot of the limited edition products and some brands that other drugstores don't carry, I'm going to have to go there more often. Anyway, I've heard that this liner is comparable to the Kat von D tattoo liner. It has a brush tip applicator, which I love. The swatches aren't that impressive (you can see that the Stila one is much blacker) but I haven't tried it on the eyes yet to compare it to my other favorite liners. Another product I picked up at Rite Aid that I haven't seen anywhere else, this gold bar is reminiscent of the same idea from Charlotte Tilbury. I expected this to be too dark for me but it's actually quite flattering! 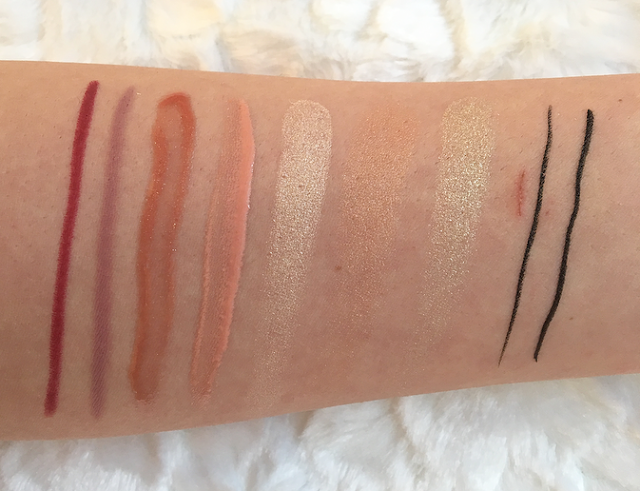 The formula is even smoother than the highlighters from their permanent range. These rainbow highlighters were all the rage a few months ago, and I have been curious about them but unwilling to spend more than a few dollars on one. I found this shade at Rite Aid and decided to finally try it out! I tried to swatch the full rainbow but I don't have a wide enough brush and my fingers don't pick it up well. This highlighter doesn't seem too unwearable because each individual shade doesn't have a ton of pigment to it. I actually like the effect when it is all swirled together so that is how I swatched it! The shades balance each other out into a shimmery silver color. I'm telling you, Rite Aid is my new favorite place for drugstore products! I never see limited edition Burt's Bees products at other places in my small town. I love Burt's Bees lip balms so I decided to get both of these scents. The Pumpkin Spice one is much better than I expected and the Mint Cocoa one smells much worse than I expected, like fake chocolate without even a hint of mint. While you're at it with Rite Aid, don't sleep on TJ Maxx either! You have to check often, but they get a lot of great brands. They had Anastasia Glow Kits the other day! I found this gloss and I love the shade, it's a very light peach that I don't have anything like in my collection. I'm really getting back into lip glosses so I'm sure I'll use this a lot. These always caught my eye in the drugstore, but I'm not a fan of paying $15+ for one brush no matter how pretty it is. This brush was reduced to around $5 at TJ and I finally got to try it! The bristles are soft and tapered, a bit more dense that I was expecting. I'll try it for blush but if it doesn't work well I think it could be good for contouring. This exact brush doesn't have a name, but I already own two of them and they are my favorite for transition colors. The two I own are constantly dirty so I decided to get another one. For only $1 these are a steal and are perfect for blending. I've never experienced shedding with them, either, they are really high quality. I've been eyeing this for ages and saw it in Target and picked it up immediately. A lot of highlighters are darker than my skin tone or are very pink-toned so I love finding a pale golden shade. It's similar in color to Becca's Moonstone, but the formula almost feels like a cream-to-powder. It reminds me of Colourpop's highlighter formula but a bit more powdery. It's so smooth, I can't wait to try it on the skin! I hope you're having a great 2018 so far! Have you purchased any beauty products lately? 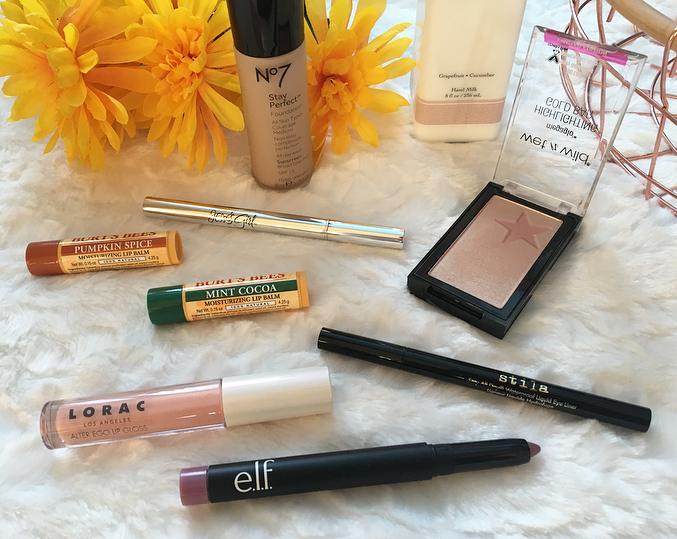 9 comments on "Beauty Haul: Sephora, Ulta, and the Drugstore! " The Real Techniques brush that you've mentioned, I was gifted a few years back for Christmas, and I love to use it for highlighting my cheekbones! I think it is definitely a 'blush' brush, but I think it's just perfect for highlight! What will you be using yours for? I will definitely try it out for that, then! :) Thanks for the suggestion! Oh wow, that is quite the haul! I recently treated myself to a few beauty stuff because my birthday is end January but other than that, I don't plan to buy anything else. Beautiful haul Katie, I've been doing some shopping myself these days so I will definitely post a haul next!! The ELF Tea Rose has been on my wishlist to buy for so long but it's always out of stock, I have NYX's Tea Rose and it is so similar to this one. Ahh you got some amazing pieces! I'd love to do a huge Sephora haul if it ever comes to the UK..!